Regional Winners Move on to Final Phase of Competition: National Finals in Washington, D.C.
ISELIN, NJ, Nov. 20, 2017 – Four more students have been named National Finalists in the Siemens Competition in Math, Science & Technology after earning top spots in one of two regional competitions that took place this past weekend. The Competition is the nation's premier science research competition for high school students and promotes excellence by encouraging students to undertake individual or team research projects. For more information go to: www.siemens-foundation.org​. Brian Huang of Fresh Meadows, NY, earned top individual honors and a $3,000 scholarship for developing a theorem that offers insights into the formation of black holes. Jillian Parker of Dix Hills, NY, Arooba Ahmed of Melville, NY and Jiachen Lee of Dix Hills, NY, shared the $6,000 team scholarship for their project, which identified a protein that was not previously known to play a role in cell division and could potentially play a role in a number of diseases, including Alzheimer’s disease. They were among 101 students selected to compete in regional competitions across the country this month out of a pool of more than 1,860 projects submitted to the competition. These regional winners now move to the final phase of the Siemens Competition to present their work at the National Finals in Washington, D.C., December 4-5, 2017, where $500,000 in scholarships will be awarded, including two top prizes of $100,000. Each of the finalists will receive at least $25,000 in scholarship money. 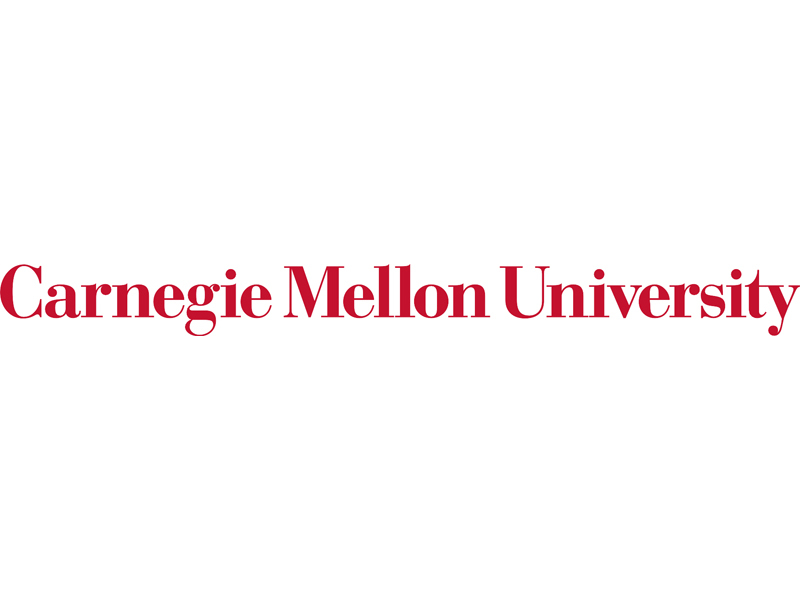 The students presented their research this weekend to a panel of judges at Carnegie Mellon University, host of the Region Four Finals​. "It’s amazing to see the knowledge and determination students bring to the competition each year," said David Etzwiler, CEO of the Siemens Foundation. "These high school students are presenting top-notch, graduate-level research and they deserve recognition for their efforts to improve so many lives." The Siemens Competition, launched in 1999 by the Siemens Foundation, increases access to higher education for students who are gifted in STEM and is based on the culture of innovation, research and educational support that is the hallmark of Siemens. The competition, administered by Discovery Education, develops a pipeline for the nation’s most promising scientists, engineers and mathematicians. Brian’s work built on a previous paper published in 1988 about the basic properties of black holes and curved space-time. For his project, he built a new mathematical model describing the structure inside black holes. As much of the scientific community—and society at large—is discussing recent breakthroughs in proving the existence of gravitational waves, Brian’s theorem can provide a new way to interpret the data that scientists are collecting from LIGO (Laser Interferometer Gravitational-Wave Observatory) and the Virgo collaborations. "Brian’s work offers foundational insights into the nature of time, space and gravity. Everyone knows about black holes, but what he has done is look at the underlying theory and determine new conditions relevant to black hole formation," said competition judge Dr. Tina Kahniashvili, an Associate Research Professor in the Department of Physics at Carnegie Mellon University. "This is the type of research people will be doing more intensely since the detection of gravitational waves." Brian began doing math at an early age as a family activity. He has attended the Program in Mathematics for Young Scientists (PROMYS) at Boston University for two years, where he had a chance to learn college-level mathematics and conduct his first math research experiment. This love of math extends to a passion for music composition, as well as the physics behind his golf swing. Brian’s mentor is Dr. Marcus Khuri, of Stony Brook University. Jillian Parker, Arooba Ahmed and Jiachen Lee won the team category and will share a $6,000 scholarship for their project entitled, " The Cilium and Centrosome Associated Protein CCDC11 is Required for Cytokinesis via Midbody Recruitment of the ESCRT-III Membrane Scission Complex." Jillian attends Half Hollow Hills High School West in Dix Hills, NY and Arooba and Jiachen both attend Half Hollow Hills High School East in DixHills, NY. understanding the genetic basis of many diseases, including neurodegenerative diseases, such as Alzheimer’s disease, amyotrophic lateral sclerosis (ALS) and Huntington’s disease. While many proteins are known to be involved in successful cell division, this is the first time that CCDC11 has been shown to be part of this process. CCDC11 is also known to be involved in early development to ensure that organs develop on the correct side of the body. Understanding its role in cell division has the potential to better understand a number of diseases, including heart disease. Jillian is a junior who is a member of her school’s Women in Science and Engineering (WiSE) Club, which she joined because of the underrepresentation of women in STEM fields and the encouragement and opportunities the club offers to young women. Jillian hopes through her exploration of the STEM field, she can become a role model to other young girls and encourage them to take interests in science or math as well. She also dances competitively, golfs and does community service. Jiachen, also a junior, is fascinated by science with a particular interest in molecular biology and the role of vital molecules in life and disease. She runs track, participates in martial arts and plays cello in her school orchestra. The team's mentor is Dr. Ken-Ichi Takemaru of Stony Brook University. For the 2017 Siemens Competition, 1,860 projects were submitted for consideration.491 students were named Semifinalists from which 101 were named Regional Finalists. For the regional finals, the students present their research in a closed, online forum, and entries are judged by esteemed scientific experts at six leading research universities which host the regional competitions: Massachusetts Institute of Technology (November 4); University of Notre Dame (November 4); The University of Texas at Austin (November 11); California Institute of Technology (November 11); and Georgia Institute of Technology (November 18); and Carnegie Mellon University (November 18). The winners of each regional weekend will be announced at 12 noon (ET) on the following Monday at http://siemensusa.synapticdigital.com/US/Siemens-Foundation​. Winners of the regional events will advance to the National Finals to be held at The George Washington University in Washington, D.C., December 4-5, 2017, where $500,000 in scholarships will be awarded, including the two top prizes of $100,000 and one of the most prestigious science honors awarded to high school students in the country today. Every finalist will receive at least $25,000 in scholarship money. For up-to-date news and announcements about the Regional Competitions and the National Finals, follow us on Twitter @SFoundation​ and Instagram @SiemensFdn (#siemenscomp) and like us on Facebook at SiemensFoundation​. Interviews, video and photos available by visiting http://siemensusa.synapticdigital.com/US/Siemens-Foundation​.